Our 8th annual photo exhibition will be open on Monday June 1, through to Saturday June (including Mad Sunday), at the Laxey Woollen Mills, Glen Road, Laxey. Easy parking, and it's free admission. 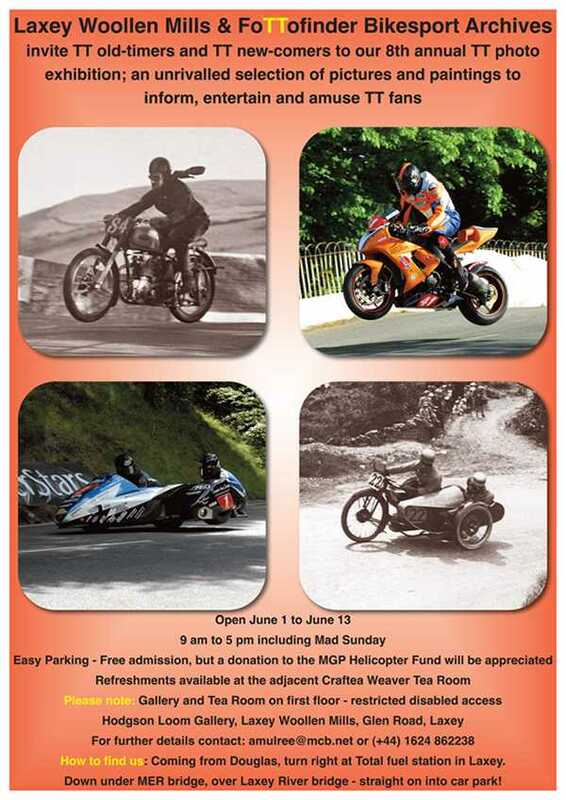 We are raising funds for the Manx Grand Prix Supporters Club, so a donation will be welcome. The Craftea Weaver Tearoom is adjacent. 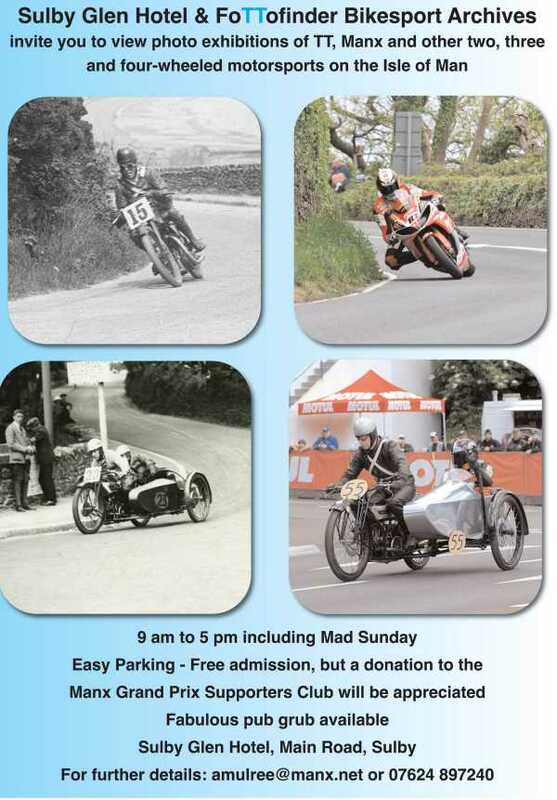 In addition, Rosie and Eddie Christian are hosting our previous exhibition at the Sulby Glen Hotel, and this also will be open for the whole of the TT fortnight. Again, they are rattling the green bucket in aid of the MGPSC. I'm on the Great Flapjack Foray of Life - can't you tell!